Lost Ballparks uses archive photographs and extensive research to tell the story of baseball through the life and death of its earliest parks. Readers will learn about the stadium that caught fire during a game, the origin of the phrase “southpaw,” and the team in which Cecil B. DeMille and Bing Crosby each had a stake. Arranged in chronological order of demise — from Cincinnati’s Palace of the Fan, demolished in 1911, to the 2015 razing of San Francisco’s Candlestick Park — Lost Ballparks makes a perfect gift for baseball fans. 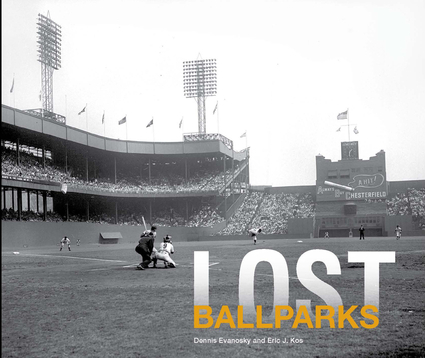 Lost Ballparks is published by Pavilion Books Group and distributed by IPG.